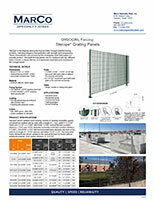 Sterope® grating panels are the flagship among the Orsogril® branded fencing products, matching elegance and aesthetic with solidity and transparency. These characteristics are ensured by the rectangular mesh that makes it a versatile product. 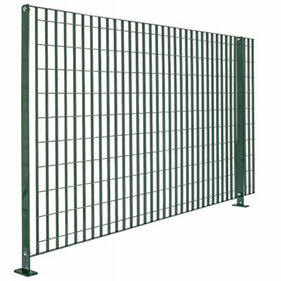 Sterope® fencing panels can be combined with two different types of posts, a classic flat bar, or a squeezed round tube post exclusive to the Orsogril® brand. H L Weight Section Fixing points L Weight galv. L Weight galv. We invite you to Contact Marco Specialty Steel today to learn more about the wide range of Sterope® products and options. We’ll also be happy to provide a no-obligation quote.